Lara Sierra looks into a new way of treating patients that could save lives and cut millions off healthcare deficits worldwide. So why don’t we know more about it? Physicians who specialise in lifestyle medicine tend to abhor the title. It sounds like a fad diet, or yet another wellness industry cult. Yet lifestyle medicine is no joke. A rapidly-growing body of doctors across the world is beginning to realise how monumental a shift in attitudes among healthcare professionals could be. They’ve just got to work out how to do it. Lifestyle medicine is a branch of healthcare that attempts to manage illness brought about through lifestyle factors such as poor nutrition, chronic stress, or physical inactivity. We’ve been told often enough that if you eat badly, you can become obese, or develop high cholesterol, or even type 2 diabetes… The list goes on. Yet where things get interesting is the vast range of illnesses that lifestyle medicine can be applied to. How about inflammation, chronic pain, some varieties of mental illness, osteoporosis and even some cancers? The American College of Lifestyle Medicine claims that 80 per cent of healthcare spending is directly tied to the treatment of conditions rooted in lifestyle choices, and more shockingly, that approximately half of all deaths in 1990 could be attributed to lifestyle factors. Imagine the amount of money and resources that could be saved, then, if patients were treated by making lifestyle alterations, or better yet, if they were treated to prevent illness altogether? In August 2014, a doctor called Rishi Manchanda filmed a TED talk about a patient named Veronica. She suffered from severe chronic headaches, she had been sent for an array of tests and even once the emergency room. Yet there was no diagnosis or official treatment, and the headaches kept coming. Finally, Veronica was introduced to Dr Manchanda, who took a rapidly different approach. He asked her a series of questions, including seemingly bizarre and non-related ones, and within three months, Veronica was cured. The doctor’s diagnosis? Mould and cockroach allergens in her bedroom were making her sick. She was sick because of lifestyle influences; not from any viruses or bacteria. His video received over a million and a half views on TED.com and a further 75,000 on YouTube. Although medical practitioners had been actively looking into lifestyle-as-medicine from 2010, this was the first time that it was propelled into the public mindset. While Jane Fonda got everyone exercising in the 1980s and Robert Atkins gained popularity with his cult-status diet in the noughties, lifestyle trends used to be primarily geared towards rapid weight loss with the aim of looking good. The headlines screamed: “Cut carbs to get skinny”; “Shred belly fat with this simple trick!” Healthy was not the goal – it was all about the aesthetic. There is no denying that such consumerism still drives the majority of lifestyle marketing. Yet, slowly but surely, things are changing. At around the same time as Dr Manchanda’s TED talk, media campaigns started rupturing the surface of what was previously a very one-dimensional industry. 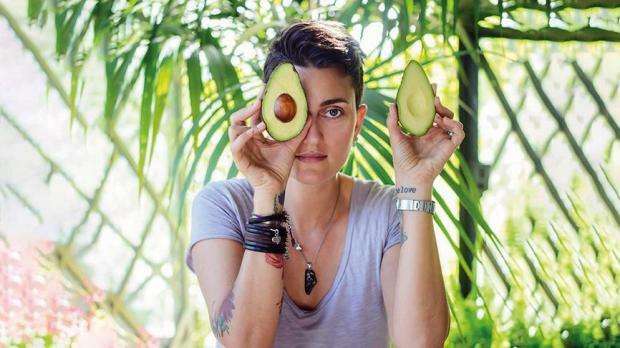 “Get fit not thin,” campaigned a host of celebrities such as Ellie Golding and Daisy Lowe; “Strong is the new skinny,” shouted the media with glee; and women all over the world breathed a long-awaited sigh of relief over their jeans. 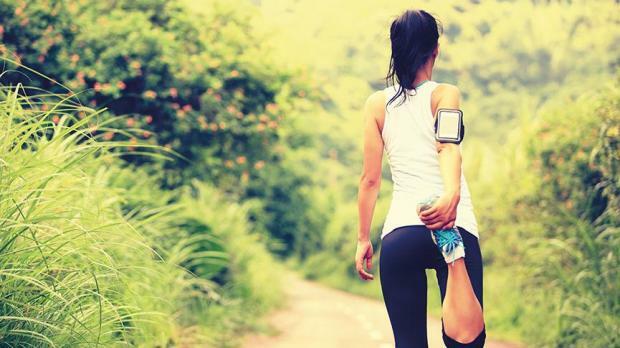 Slowly, as we began to think about our body in terms of health and fitness instead of just calories, we started thinking about our health in other ways, too. Are we too stressed? Are we getting enough sleep? As mindfulness exploded into 2017, we learnt that our mental health, our physical health and how we feel are all interrelated. Cocaine, beer and the Diet Coke diet was out; avocado, strength training and meditation was in. But hang on a minute. Weren’t we talking about medicine and not about the wellness industry? So, we were, and herein lies the true reason why physicians may find the term ‘lifestyle medicine’ so problematic. A quick glance at social media shows 72,000 tags for lifestyle medicine. Many are from doctors, dieticians, or other healthcare professionals, but many more are simply from self-styled ‘experts’ who are using the term to endorse their own brands, such as protein powders, vegan snacks, or essential oils. So, is there a genuine possibility that lifestyle medicine will be swallowed up by the lucrative ‘lifestyle’ industry? Before we’ve even understood how it works? Bettina Campolucci Bordi is a chef and blogger living in the UK. She struggled to conceive a child for several years. She was diagnosed with severe PCOS and endometriosis, and after taking the contraceptive pill for 10 years, she found her symptoms became much more severe once she came off. Bettina is certainly not the first to claim that self-prescribed lifestyle adjustments have cured a previously chronic condition. We now find ourselves living in an era of Deliciously Ella heroes, where a hardened army of sufferers from non-communicable diseases are working their own way back to good health through canny research, careful self-monitoring and endless self-discipline. 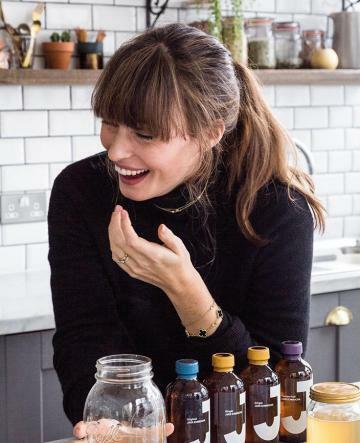 Deliciously Ella, AKA Ella Mills, famously “cured” herself of an autoimmune disorder called Postural Tachycardia Syndrome through a complete lifestyle overhaul. The fact that she became a millionaire in the process is proof that the rest of the world sat up and took notice. It makes for a fantastic story, as does Bettina’s, to cure oneself of a disease through one’s own introspection and hard work. Yet it is at this point that a sense of weariness may enter the debate. Who should be preaching to whom? Celebrity psychologist Jordan Peterson is touring the world with grand proclamations that he eats steak with salt and nothing else, and it has cured him of depression. The wellness gurus mentioned above are simply recommending a healthier approach to living, yet subsisting on a diet of steak with salt stinks of extremism, which would send most physicians running to the hills. This begs the question then: how can doctors begin to take more control in addressing our lifestyle to prevent unqualified celebrities filling in the gaps? But also, how can doctors manage to do this in their already overstretched and under-resourced field? Dr Timmy Camilleri, a family doctor with decades of experience behind him, helps explain the situation. 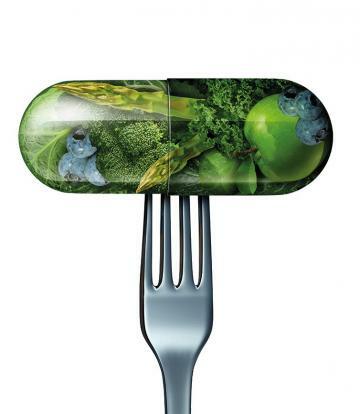 “In most countries, medical students are now being trained in lifestyle medicine. “Thirty or so years ago, we were taught to advise patients in-clinic about not smoking, eating more healthily and so on, but they were only ever recommendations or advice; nothing official. Now, lifestyle medicine allows family doctors, as the first port of call, to advise on a patient’s lifestyle as medication. Health.gov.mt explains that these Lifestyle Clinics “will allow for a detailed and individualised health needs assessment of a person by a specialised nurse in order to identify the risks to a person’s health”. At last count, 14 of these clinics are in operation in Malta, with two in Gozo. The concept of lifestyle medicine is fairly simple; look after yourself to avoid getting sick and look after yourself to recover. There will, of course, always be the need for traditional medicine; some diseases are simply too powerful. Yet, for those which are not, it is a welcome relief to know that doctors are there to support us through the lifestyle shifts we know we need to make. For more on Bettina’s story, find her blog on Bettina’s kitchen.com, follow her eponymous account on Instagram, or order her book, Happy Food from Amazon. This article first appeared in Pink magazine.